Voices For Children kicked off the New Year with its 23rd Annual Be A Voice Gala. This year’s theme was “Make Magic”, a fitting description for the work we do to transform the lives of abused, abandoned and neglected youth in Miami-Dade County. Sponsored by Susan and Alex Samas, wife and daughter of Voices For Children board member, Jeffrey C. Samas who lost his battle with cancer in June of 2018, the event held a particularly special meaning this year for those most closely involved with the organization. 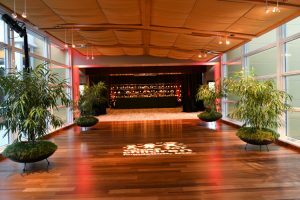 As is customary, nearly 400 guests arrived at the luxurious Mandarin Oriental Miami decked out in their finest. They enjoyed an elegant cocktail reception in the ballroom foyer which allowed for guests to meet, greet and mingle. While this pre-event function is more of an opportunity to make an entrance snap photos and sip on a cocktail, guests were treated to some pre-program entertainment courtesy of strolling magicians who wowed and amazed party-goers with their illusion and sleight of hand. Across the length of the corridor, one could hear the oohs and aahs of Miami’s most generous individuals which included City of Miami Mayor Francis Suarez and his wife as well as Univison journalist Carolina Sarassa. Behind the scenes, our Voices team was tending to every last-minute detail from the live auction presentation to the table cards to prepping the evening’s testimonial speaker, a nervous young man whose story promised to move a room of successful business people and community leaders into opening their hearts to ensure that his life would experience the magic that Voices For Children so often provides. Once the guests moved inside, it was time to begin the program. 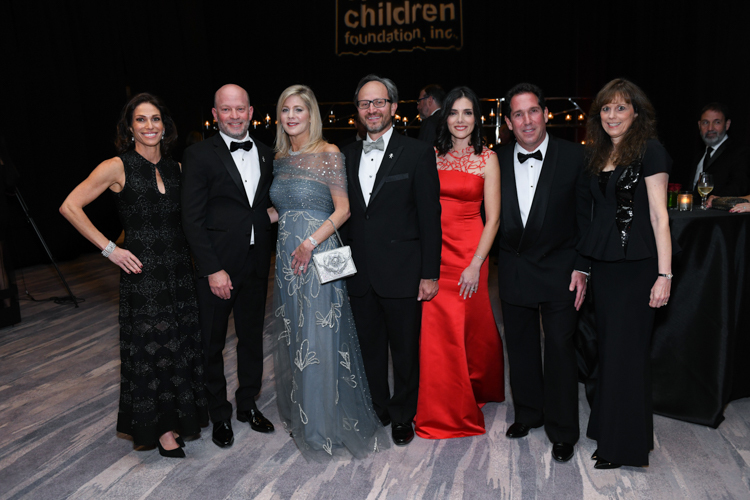 Jay Shapiro, Chairman of the Board of Directors of Voices For Children greeted everyone and glowingly spoke not only of the past year’s accomplishments but of his late friend Jeff, celebrating him and their friendship along with the decision of his wife Susan to sponsor the night. Then came Gala Chairs Brad and Suzanna Meltzer who thanked additional sponsors and took a special moment to honor the true magicians in the room, the Guardians ad Litem, particularly Mirta Fuentes, a devoted GAL for 25 years. 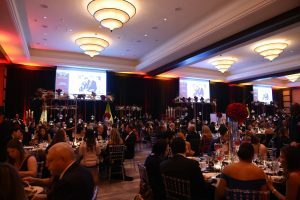 Following came the live auction during which many exciting travel and experience packages were sold to the highest bidder and finally, words from our President and CEO, Nelson Hincapie who introduced the testimonial speaker. 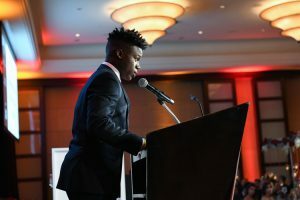 His story delivered on its promise and guests were indeed inspired to make magic happen for him along with the over 2000 children currently in foster care in Miami. 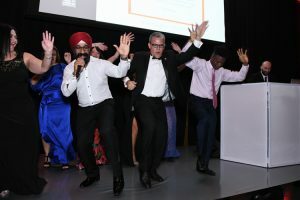 In the end, $630,000 was raised before dinner was even served and after the last dessert plate was collected, guests danced to high energy beats spun by DJ Kucha and celebrated the past, present and future work of Voices For Children Foundation.